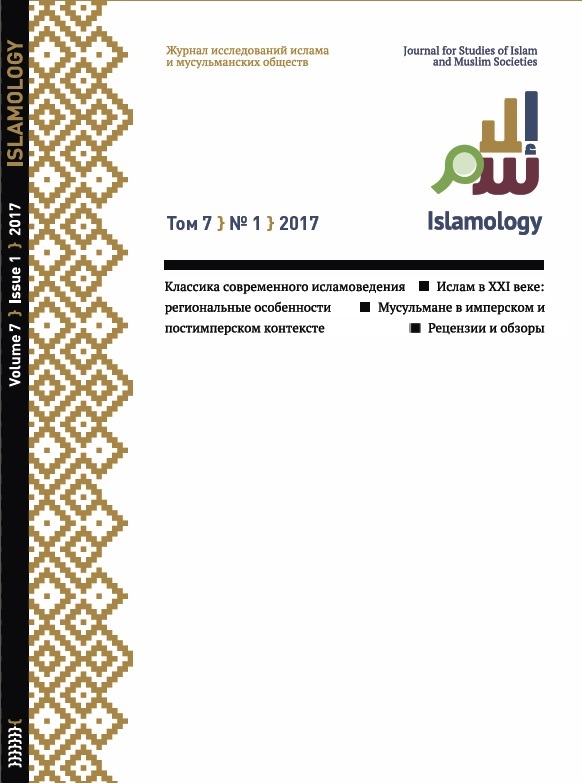 Dear reader, this is the first issue of Islamology journal http://islamology.in/journal/issue/view/11. It is a new academic project of Mardjani Foundation and group of scholars of Islamic Studies. We use the notion of academic “Studies of Islam”/“Islamic Studies” in a broad sense, implying by it any issue concerning Islam and Muslim societies. We want these researches to focus on Islam as a wide complex of views, values, practices, meanings of which goes far beyond the religion in its narrow sense and may influence all the society. Besides, today’s stance and role of Islam and Muslims (notorious “Islamic factor”), as well as contemporary status of humanities’ thought, particularly post-colonial critiques of “orientalizm”, brings the “deorientalization” issue to the agenda, and drawing Islamic Studies out of specific niche of Oriental Studies as a scholarship exclusively about “subtle Orient”. Today there is no country where Muslims aren’t represented in some way and characteristics of Islam as a world religion is no more just an encyclopaedic definition based on populations count — Islam now is a real global factor, belonging neither to East nor West and not restricted by regional, ethnic or even “civilisational” frameworks. In first issue authors discuss how Islam transforms, adjusts to modernity and being reassembled, and how to study these processes.